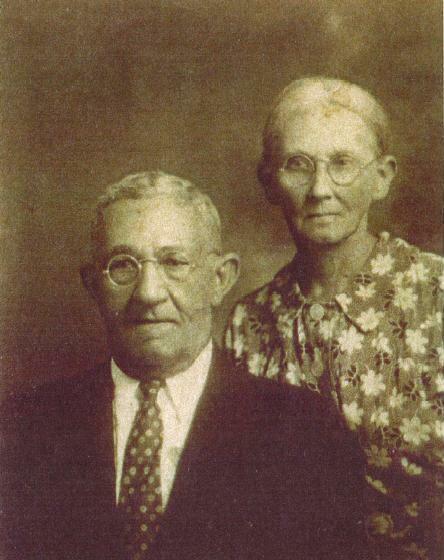 Andrew Washington Turner, born 1 Jan 1867 in Dublin, GA, was the son of Adeline Rebecca Black and Jesse Turner. As a boy, Andrew Washington Turner came to the 1144th Georgia Militia District, the Ray’s Mill District. 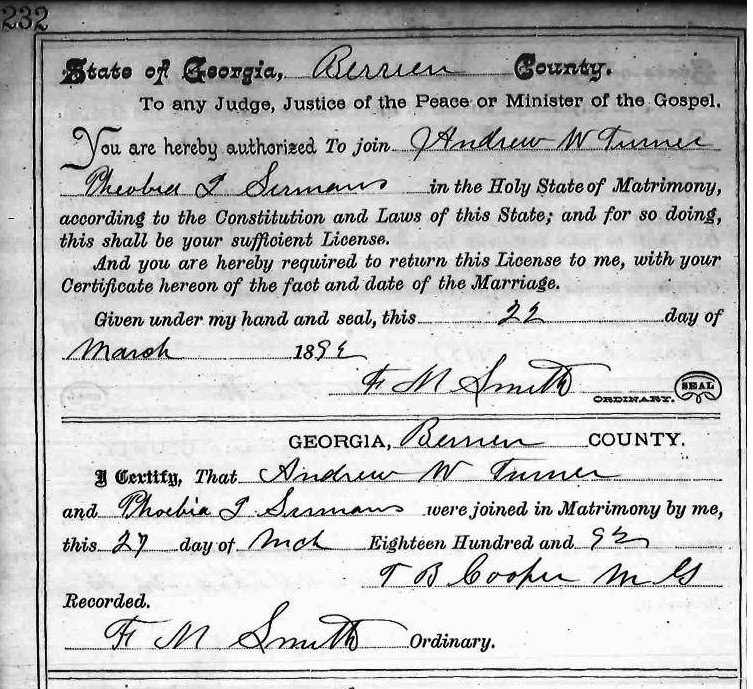 He came some time before 1880 from South Carolina with his widowed mother and sisters.On March 27, 1892, Andrew Turner married Phoebe Isabelle Sirmans. She was born June 1, 1867 the daughter of Abner and Frances P. Sirmans. On February 24, 1893, Andrew Turner and his wife bought land from her father, Abner Sirmans, which became their homesite in Ray’s Mill (nka Ray City), Georgia. The Turners made Ray City, GA their home through the 1920s, and during the town’s boom period constructed “two large brick buildings known as the Andrew Turner Buildings. One of the buildings is two stories high.” In 1929, the Ray City News reported that this building was sold to M. G. Melton. Some time prior to 1930, the Turners moved to Valdosta, Lowndes County, GA . Andrew Washington Turner died there on July 26, 1936. Phoebe Isabelle Sirmans Turner lived with her daughter, Rosa Shaw, until her death on Aug, 29, 1948. Andrew Washington Turner and Phoeba Isabelle (Sirmans) Turner are buried in Sunset Hill Cemetery in Valdosta, Georgia.